In case you still need some good luck this year, may I suggest making some Crepes on February 2 with a piece of gold in hand for La Chandeleur, aka Crepe Day, aka Candlemas. February 2nd is a celebration of the presentation of the child Jesus in the Christian faith. It is celebrated differently in many places, but today’s food lesson is on France. You’d think I would have learned this tradition from the Lalanne side of my family, but the first time I heard of the Crepe tradition was in French IV avec Madame Adams. She brought in crepe batter and an electric skillet and made each of us make a crepe with one hand while we held a piece of gold in the other. Of course we had to “parlez en Francais” while we enjoyed our hard work. 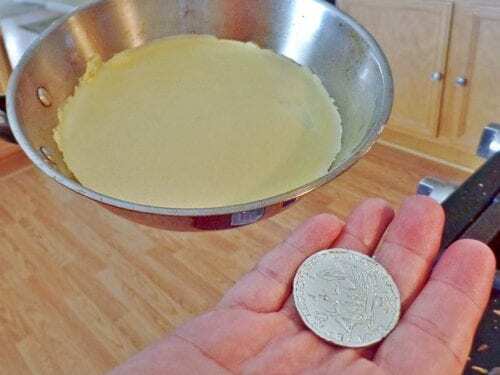 You are supposed to hold the pan in your dominant hand and the gold in the other and after cooking the first side of the crepe, flip the crepe by flicking your wrist and tossing it in the air. If you are successful you will have prosperity throughout the year. 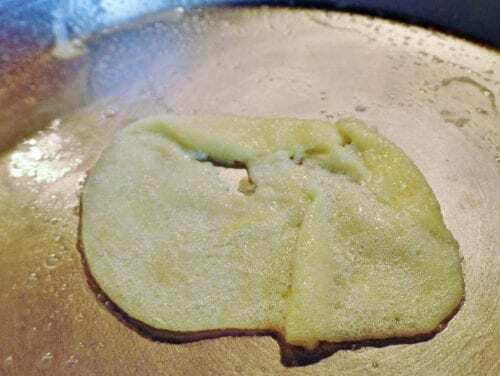 A few tips, make sure you use plenty of spray or oil and loosen the crepe before attempting to flip. I freely admit I have never been able to do this, even with a buttermilk pancake. 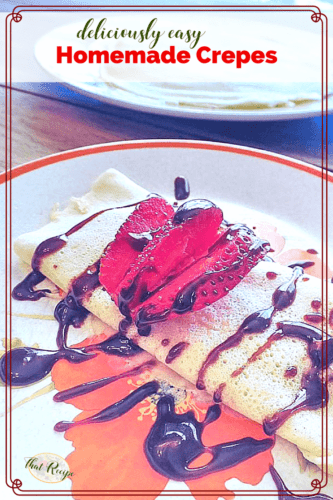 Regardless of the superstitions surrounding the day, Crepes are simple to make and great for breakfast, dinner or dessert any day. You can add almost anything to them from strawberries and Nutella (my son’s favorite) to chicken and gravy for a quick and delicious weeknight meal. Just know the French also say “The first crepe is for the dogs”. No matter how often you make them, the first one almost never comes out right. Since, we don’t have a dog, I usually nibble on it while I make the rest. The bulk of the prep time is in resting the batter before cooking, but it can be made a day or two in advance. Mix all ingredients in a blender for about 1 minute on high or in a medium bowl with a whisk or mixer. Let rest in refrigerator for at least 1 hour up to a few days. Spray pan with cooking spray. To test if the pan is at the right temperature, place a tablespoon of batter in the middle, if it cooks completely in 20 seconds the pan is ready. Adjust the heat up or down if it cooks faster or slower. Respray pan if needed. Pour 1/4 cup of batter into pan and swirl until completely coated. Cook for 20-30 seconds until crepe looks cooked and edges just begin to brown, flip, cook for another 20 seconds to brown the other side. Remove from pan place on a plate and cover with a clean towel to keep warm until finished cooking the remaining batter. Hahaha! This first crepe is for the dogs! Yes! Love it! The first one never comes out…ever! Lol thanks for the giggle today! always like to make people smile. Mmm! I usually nibble on the first crepe while I make the rest o. I guess that is a perk of not having a dog!